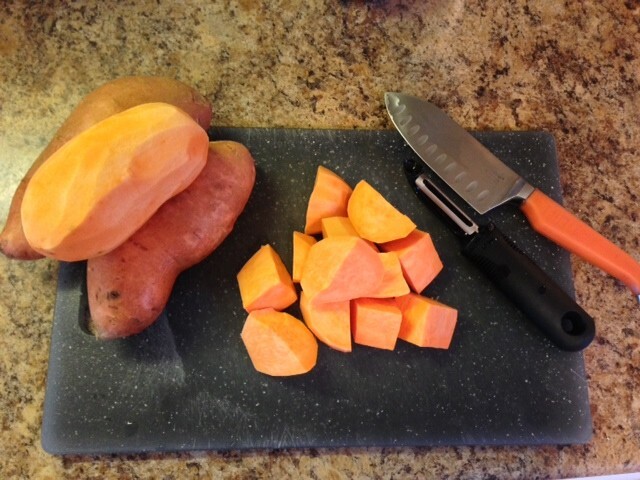 I have a sweet spot for sweet potatoes! I first remember them from Thanksgiving as a child – mashed, topped with brown sugar and marshmallows. I’m embarrassed to say, though, that this tasty dish never made it onto my plate when I was younger. It wasn’t until I started dating my husband, Evan, that I finally began to enjoy them. 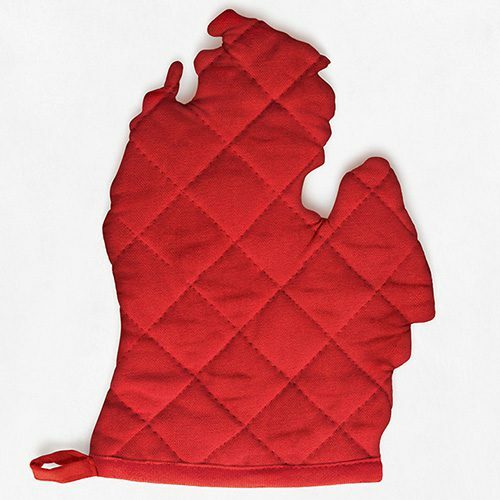 Today we prepare them a few different ways: baked, plain or drowning in butter; seasoned and roasted with salt, cayenne pepper and cumin; and my new favorite – a savory pancake side dish. Like many of the new recipes I find, I came across this one on Pinterest. (Here is a direct link to the recipe: Masala Sweet Potato Bites.) And like many recipes that I come across, I adapted this recipe to fit with the rest of the meal I was preparing, which included seared steak with a mushroom gravy sauce and green salad. While it may seem like there are a lot of ingredients for this recipe, keep in mind that most of them are dried spices that can be easily handled. When I first started cooking, I remember being very intimidated by recipes that had a long list of ingredients, but don’t fret! It only takes a few seconds to measure out a teaspoon of this and a tablespoon of that. 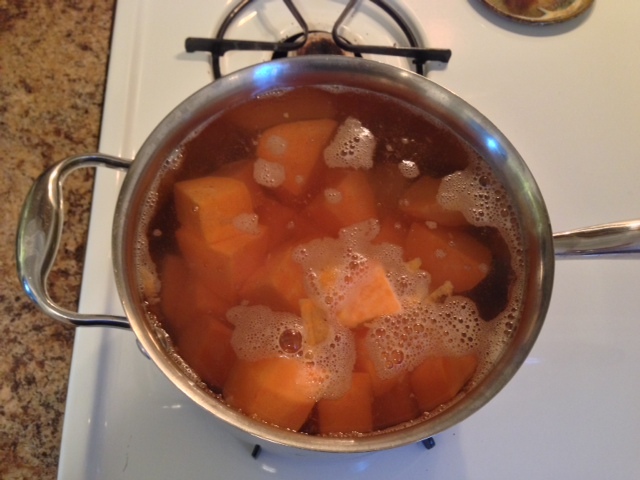 Start by peeling your sweet potatoes, cubing them and boiling them in a large sauce pan until tender. You will know when they are done when you can insert a knife or fork easily. Once they are cooked to perfection, drain off the water. 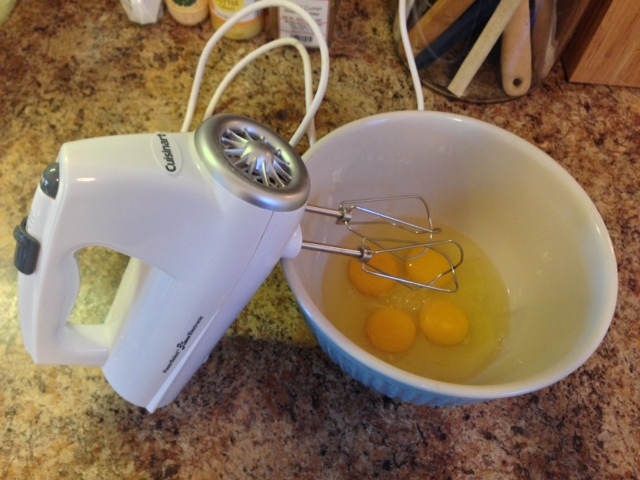 Meanwhile, in a medium sized mixing bowl, add 2 eggs and use a mixer to whip. Once your eggs are frothy, add 1 tablespoon arrowroot powder, 1/2 teaspoon cumin, 1/2 teaspoon coriander, 1/2 teaspoon turmeric, 1/2 teaspoon ground ginger and 1/2 teaspoon ground sea salt. Blend to combine. Add your cooked sweet potato cubes and mash until well combined. To allow the mixture to thicken and set, put it in the refrigerator for at least 15 minutes. 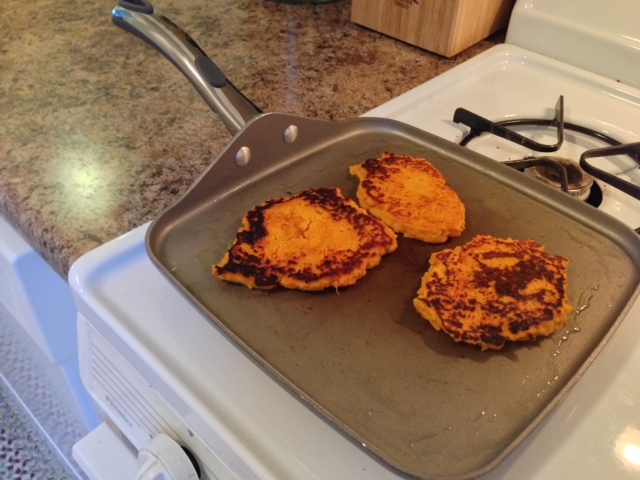 When you are ready to cook your sweet potato pancakes, heat your fat of choice in a large non-stick skillet over medium heat. I used ghee (clarified butter) for this batch, but you could use coconut oil, canola oil, butter, etc. 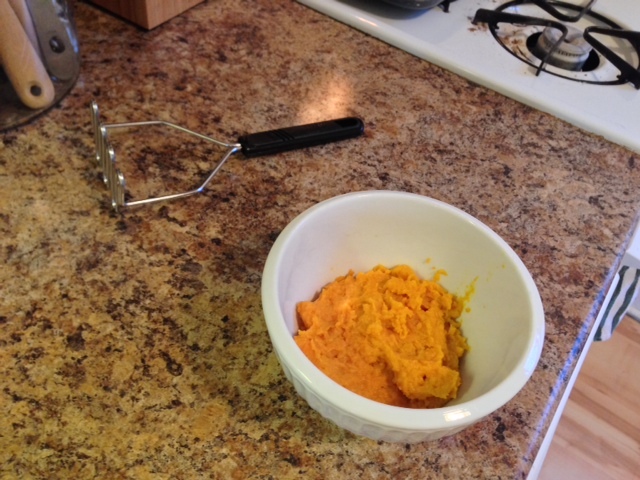 Using a spoon, add dollops of the sweet potato mixture to your skillet. Flatten them into a pancake shape and thickness using the back of your spoon. Each of mine was about 3” round. Cook on one side for 3 – 4 minutes, until the bottom is golden brown. Flip and repeat on the other side. If you’re cooking these in several batches (like me) keep your pancakes on a plate or platter, loosely covered by foil in a warm oven, until dinner is served. In hindsight, I think it might have been nice to serve these with a bit of sour cream on top. The original Pinterest post suggested drizzling them with fresh lemon juice and a bit of cilantro. What toppings would YOU suggest? 1) Peel and boil potatoes until tender. 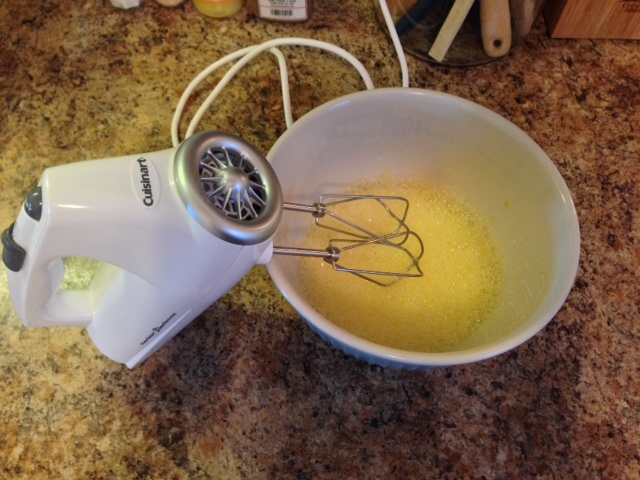 2) While the potatoes are cooking, use a mixer to whip your eggs until frothy. 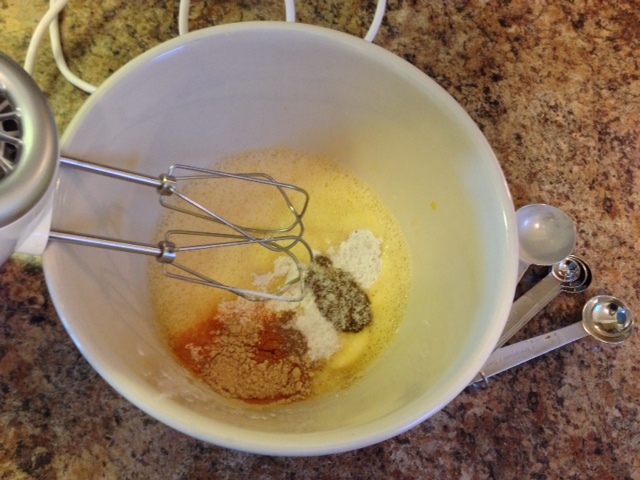 Then add the arrowroot powder, cumin, coriander, turmeric, ginger and sea salt to the eggs and blend thoroughly. 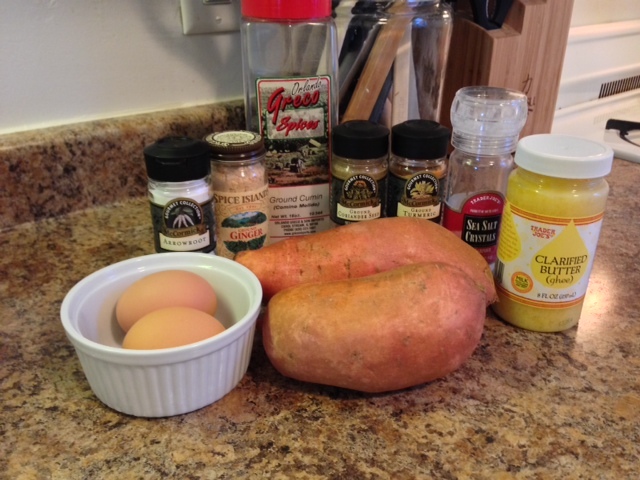 Add the cooked sweet potatoes and mash. 3) Refrigerate to set for at least 15 minutes. 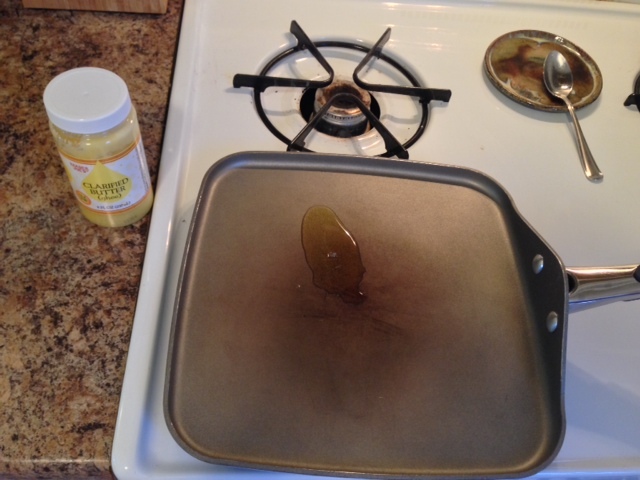 4) Heat your ghee (or cooking fat of choice) in a non-stick skillet over medium heat. 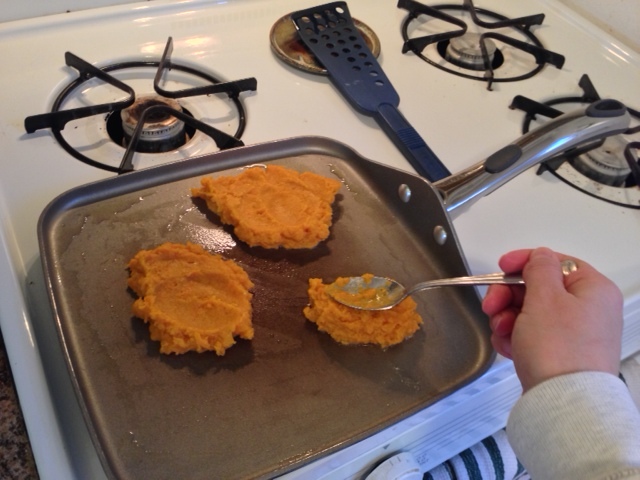 Use a spoon to add dollops of the sweet potato mixture to the pan, flattening them into 3″ pancakes. Cook until golden brown, 3 – 4 minutes per side. 4) Enjoy as a savory side dish! I’ve recently gone Paleo and this recipe is 100% Paleo. Looks delicious! Can’t wait to try it! Looks yummy, can’t wait to try !! !